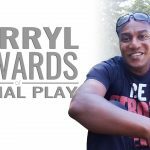 Darryl Edwards of “Primal Play” shares his journey from being overweight and unhealthy to becoming passionate about promoting health through movement and reclaiming their child-like approach of fun exercise. Last week, I had the distinct pleasure of meeting Darryl Edwards in person. We have been internet friends for a while now, and he was the main reason I attended the Ancestral Health Symposium (AHS 2018) in Montana. I was lucky enough to meet Darryl, take part in Primal Play group-sessions (I signed up for his online program a while back), have a few great conversations with him, and do this great interview! He was gracious enough to share his backstory on how Primal Play came to be. I had been under the impression that he was always an athlete, but the truth is far from it! Darryl had actually been living a sedentary lifestyle and was not in good health. He was suffering from chronic low back pain and knee pain, and was prescribed meds for cholesterol, high blood pressure, high blood-glucose, etc. After improving his health, Darryl was inspired by the 300 movie (who wasn't?! ), Mark Twight from Gym Jones, Greg Glassman from CrossFit, Arthur De Vany, and Loren Cordain's “The Paleo Diet”. Darryl has authored a number of books: Animal Moves, Paleo From A to Z, and Paleo Fitness. Read about my discovery of the program: Fun Exercise Challenge with Primal Play or head straight to Darryl's website: Primal Play. Find out more about Glideascope. I was glad to have had the opportunity to meet and interview Darryl Edwards. I love his enthusiasm, what he's doing, and his whole story. I feel very blessed to have connected with him over the weekend and am looking forward to seeing the impact he has on health and fitness in our society in the future. Good news: Darryl has another book coming out soon that I am very excited about – but I promised I wouldn't spoil any details about it yet. So stay tuned! I really enjoy Darryl’s stuff! Lucky you guys got to meet! He’s so motivational with his approach to health! Totally agree! Have you tried any of his activities? I can’t wait to see his next book! What a great interview and opportunity to meet him! Yes! I am so excited for it! And yes! I’m pretty lucky. Hope you enjoyed it! What a fun and awesome interview ! It’s so interesting to know more about you, too ! I love Darryl and what he does. We all need to play more. Couldn’t agree more. In fact I played tag on a floating jungle gym recently – holy! That was an intense workout! I love that Darryl brings joy and playful spirited fun to exercise. I love Darryl so much! What a wealth of knowledge. Yes! What topics has he presented at PaleoFx? You were a great interview host and managed to find out a little bit more about me than other interviews I’ve had! Thanks Raj! That was all you, good sir! But really, it was my pleasure!